As a parent, trying to get your children to go and exercise can be a nightmare at the best of times. 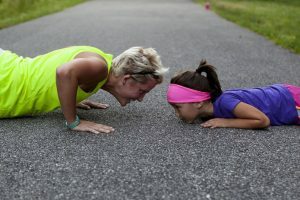 The rise of things like social media, mobile gaming and constant access to the internet can make things like exercise seem like a chore to your children. However, with these simple exercises, you can ease your children into the experience. This will help them to settle in and enjoy the benefits of physical exercise without it ever feeling too taxing. Going for a simple run is a good way to have some fun and to get your kids moving about. Simple running games can be easy to do – stuff like playing tag can help to turn the prospect of running into something enjoyable. Even something as simple as a point-to-point race can be great fun. Using things like skipping and dancing, you can easily help your kids to stay in good shape. Jumping is a fun way to help stay in good physical form, and it also helps to give your child an easy way to improve their leg muscles without even realizing that they are doing it – they’ll get plenty of laughs during the exercise, too! Swimming makes a tremendous full body workout, and is sure to go some way to making sure that your children feel physically fit and strong. Simply start with the children’s pools and work it up until they can handle the full-length adult pools. Swimming really does a full-body workout, and is a good way to relax for children, too. If your kids want to go and see a local landmark or do something like head to the zoo, why not get them some bikes and cycle there instead? Cycling works their leg and arm muscles, and tones much of the lower half of the body. It’s also good for covering large distances together, helping your kids to appreciate the outdoors and to see how far you can travel without a car. Skipping is a very simple exercise and one that is sure to provide utter reverie to most kids. While some children might feel odd skipping in public, we recommend that you have them skip around the garden. Avoid skipping indoors, though; it’s a little too easy to slip on the floor and turn a fun and great leg-building exercise into an unnecessary trip to the hospital! Dancing is obviously a great way to stay in good physical shape. You can enjoy all manner of dancing: look at the kind of music your kid love, and take them to a dance class. You will find that this will help them to find their self-belief as well as appreciate the added art of this kind of fitness. Who knows where dancing might lead? 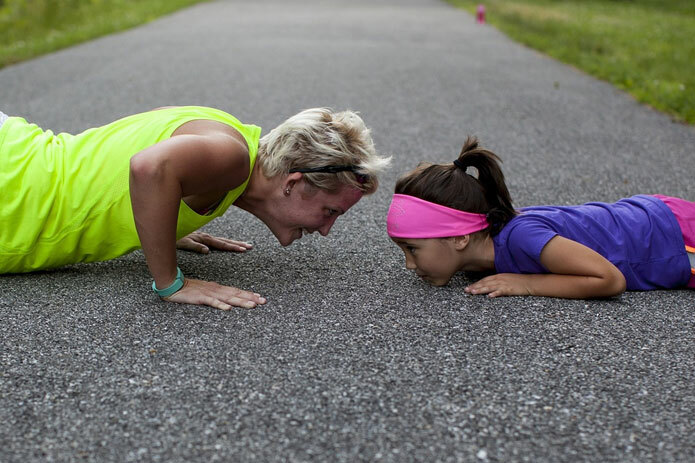 Your child could turn this fat-burning exercise into a career! A useful place to start for most parents would be to simply have the kids go up and down the stairs. Tell them to do it slowly, though, and never to do it more than one stair – or one child – at a time. This is going to help your children to enjoy the exercise that they get, working those leg muscles and increasing stamina, without extensive pressure. Push-ups and sit-ups can be hard to do, but they work the core muscles of the arm, legs, body and stomach. Your children can do them on a solid floor, but we recommend getting a mat for them to start with. Your job is to simply sand by and make sure that they do each exercise correctly, so just watch their posture and form when coming up or returning to ground. Crunches can be a really tough exercise to do at first, but within a few reps your children will understand what they are to do fully. They work much the same as a sit-up, expect the chest instead curls towards the knee. Great for helping to build core strength and self-belief. Simply have your child(ren) lie on their back, and then get them to raise their feet off the floor a bit and then do a fluttering kick. They’ll love doing this as they will feel like it looks funny, but it does make a fine exercise for strengthening the core of your body. That’s quite important, so keep that in mind as while they might enjoy doing this exercise, it comes with many benefit outside of comic appeal!